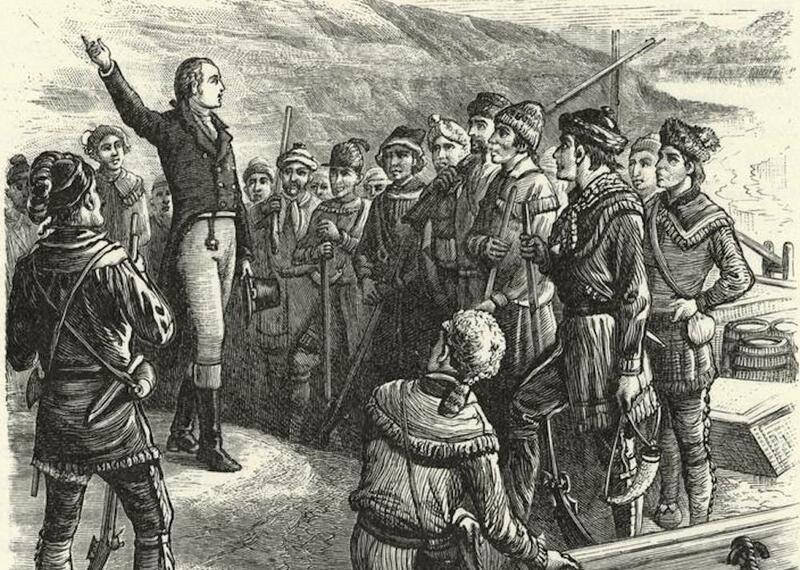 Wood engraving of Aaron Burr exhorting his followers at Blennerhassett Island, on the Ohio River, in 1806, where an uneventful but armed standoff took place between Burr's men and a state militia. Burr later would face trial for an alleged "overt act" of treason. "Parade of Burr's force." Courtesy of the New York Public Library Digital Collections. The Founders borrowed this language from the law of King Edward III of England. Enacted in A.D. 1350, Edward III’s statute had also criminalized “compassing or imagining” the death of the king, sexually violating certain women in the royal household, counterfeiting the great seal or coinage of the realm, and murdering certain royal officials—offenses that would not make sense to consider treasonous in a republic. The U.S. Constitution also requires “the Testimony of two Witnesses to the same overt Act” or “Confession in open Court” in order to obtain a conviction. The requirement of an “overt Act” was intended to preclude judges or politicians from using treason trials to go after political opponents, as had been common in early modern England. Indeed, for centuries British monarchs had coerced judges into condemning political opponents to death based on spurious evidence or flimsy allegations, often rooted in the claim that the “traitor” had compassed or imagined the death of the king. In America, the Founders wished to hold government authorities to a higher evidentiary standard. But defining treason in the Constitution was one thing. It took actual experience to give life and practical legal meaning to the American idea of treason. Within a decade of the Constitution’s ratification, several groups of protestors in Pennsylvania were convicted of treason for violently resisting the enforcement of federal tax laws. Fortunately, Presidents Washington and Adams pardoned these “traitors” before any of them stepped foot upon the gallows. Their convictions had rested on an old English concept that “levying war” included violent resistance to a law. But the courts would soon begin to move away from this broad definition of treason. The first case to do so was the 1807 trial of Aaron Burr. Burr had been Thomas Jefferson’s vice president from 1801 to 1805. A political chameleon, Burr would change party or office whenever he believed it to be most politically or financially advantageous. In 1800, Jefferson selected Burr as his running mate, hoping that Burr’s presence on the ticket would help carry northern states, like New York. In those days—prior to the ratification of the Twelfth Amendment in 1804—members of the Electoral College did not specify whether they were voting for president or vice president when they cast their ballots. So Jefferson and Burr tied in the Electoral College. Seeing this as an opportunity to slip his way into the presidency, Burr allowed the election to be thrown into the House of Representatives, where it took 37 ballots to decide that Jefferson was actually president-elect. This episode scarred Jefferson, teaching him that he could not trust his vice president. 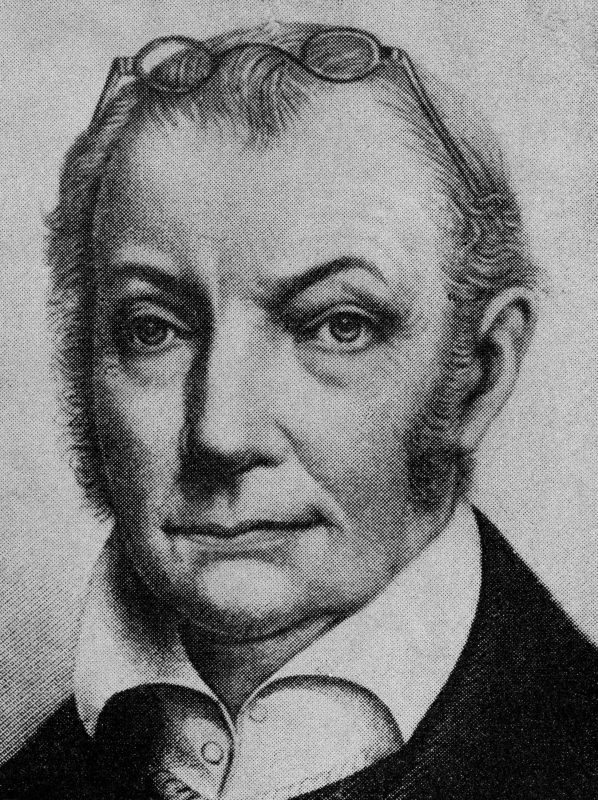 Aaron Burr, who served as Thomas Jefferson’s vice president, is shown in an illustration on Oct. 4, 1956. Burr was indicted for murder in the duel slaying of Alexander Hamilton and later for treason in a plot to seize the new Louisiana Territory. Image courtesy of Associated Press. In July 1804, Burr famously shot and killed Alexander Hamilton in a duel. Later that year Jefferson ran for reelection with a different running mate, and by March 1805 Burr was out of office. Now a political exile and accused murderer, Burr turned his gaze toward the western frontier. Although the details of his plans remain murky, Burr made visits to the frontier—perhaps to provoke war with Spain and liberate Mexico; perhaps to separate the trans-Allegheny region from the United States and to set up his own empire; or perhaps simply to see how he might strike it rich. Unfortunately for Burr, one of his accomplices in New Orleans began to have second thoughts and sent copies of some of Burr’s correspondence to Washington, D.C., revealing Burr’s plans to federal authorities. Several of Burr’s associates were arrested and transported to Washington, D.C., for trial. In Washington, President Jefferson and Secretary of State James Madison personally interrogated one of them, disingenuously telling him that anything he said would not be used against him in court (it later was). Fortunately for the prisoners, their case came before U.S. Supreme Court Chief Justice John Marshall. Marshall loathed Jefferson. Although the two men were both Virginians—and cousins—they had polar opposite views of what was best for the American republic. Throughout his tenure on the bench Marshall used his position as chief justice to articulate a nationalist view of the U.S. Constitution. Jefferson, an agrarian, generally opposed a strong central government. To make matters worse, Marshall had been appointed by lame duck president John Adams and confirmed by a lame duck Federalist Senate in early 1801, just weeks before Jefferson took office. Marshall, in effect, occupied a stolen seat on the Supreme Court that Jefferson believed he should have had the chance to fill. In February 1807, Marshall ruled that Burr’s associates could not be tried in the nation’s capital since they had not committed any crime there. Much to Jefferson’s chagrin, they were released. But that ruling wouldn’t spare Burr. Burr was traveling down the Mississippi River on nine longboats with about 60 men when he learned that he might be assassinated in New Orleans. He tried to escape, making his way deep into the Mississippi Territory. But the U.S. military soon caught up with him and arrested him on February 19, 1807. A controversial presidential election. A stolen Supreme Court seat. Allegations of treason. A president with open disdain for the courts and the press. The contest that defined treason in early America had elements familiar to Americans in 2017. Jefferson took an unhealthy interest in the prosecution of Burr’s case. The president sought to have a jury made up entirely of Jeffersonian Republicans. He also wanted the Treasury Department to pay the expenses of government witnesses. In an extraordinary delegation of executive authority, he sent his prosecutor “blank pardons … to be filled up at your discretion” should any of the other “offenders” be willing to testify against Burr. Finally, the president also supported a declaration of martial law in New Orleans, enabling military authorities to arrest civilians without warrants—including journalists—and to rifle through private mail at the post office in search of evidence. From Jefferson’s perspective, if judges were going to allow traitors to undermine the nation, then they should not receive the constitutional protection of life tenure. Fortunately, such a brazen assault on the federal judiciary by Jefferson and his followers in Congress did not become law. Jefferson’s behavior in United States v. Aaron Burr reveals a president willing to allow his politics and personal vendettas to cloud his judgment. Hating both the defendant and the judge in this case, Jefferson personally inserted himself into a criminal prosecution in an unseemly way. A controversial presidential election. A stolen Supreme Court seat. Allegations of treason. A president with open disdain for the courts and the press. The contest that defined treason in early America had elements familiar to Americans in 2017. And, as frustrated we now may be over today’s politics, perhaps we can take comfort in knowing that our Founding Fathers faced similar conflict—and yet the nation survived. Jonathan W. White is associate professor of American Studies at Christopher Newport University. His most recent book is Midnight in America: Darkness, Sleep, and Dreams During the Civil War (UNC Press, 2017). Aaron burr, America, American history, government, History, treason, U.S.